Did you know every 2 seconds someone in the U.S. needs blood, and that one pint of blood can save up to 3 lives? To help meet demand for donations and to raise awareness about the need for new donors, the annual Mud Hens Blood Drive will be held on Wednesday, July 5, from 2-7 p.m. The blood drive will be held inside the Top of Nine banquet area (see on map) located on the fourth floor at 406 Washington St. adjacent to Fifth Third Field. All donors will receive a ticket voucher for a future Toledo Mud Hens game! All donors will be entered into a drawing to win some cool Mud Hens items! 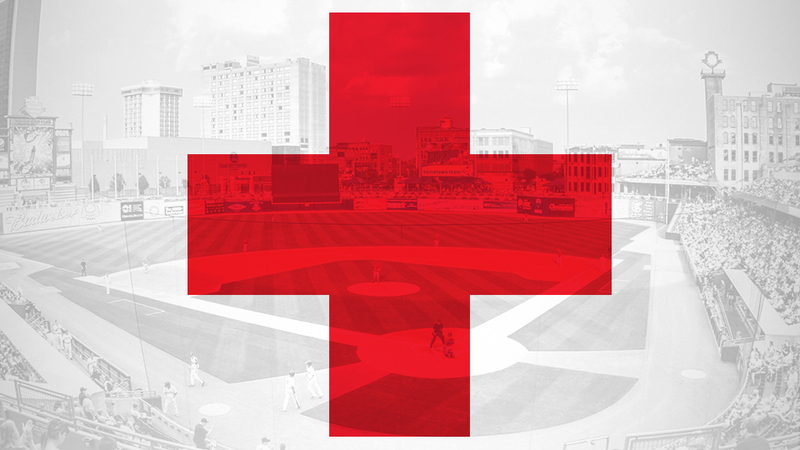 To schedule an appointment, call 1-800-REDCROSS or visit www.redcrossblood.org and enter the sponsor code: MUDHENS. Fans attending games on June 14 and 30 will also be able to schedule an appointment at the Red Cross table on the main concourse. The American Red Cross Western Lake Erie Region serves 11 counties and needs to collect about 300 units of blood every day to meet patient need in 23 hospitals.